We’ve hit the All-Star break for the Arizona Fall League and their “Fall-Stars” game will be played today with Blue Jays prospects Aaron Sanchez and Marcus Stroman on the roster. 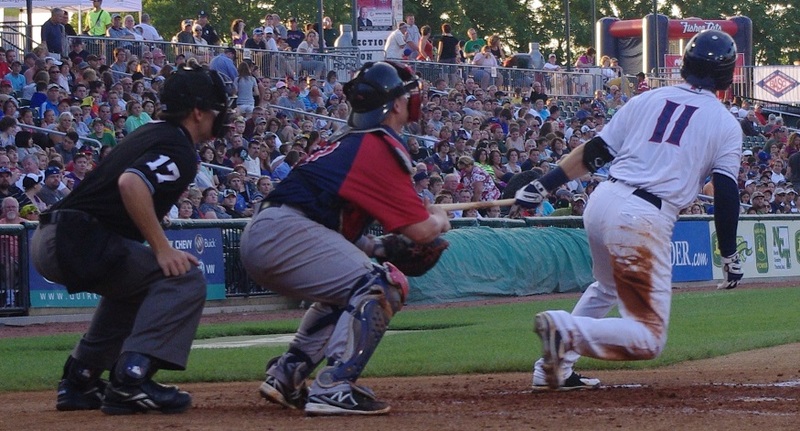 Here’s this week’s update on the Jays’ farmhands performance. Drew Hutchison continues to dominate the AFL, making a start on Thursday and going five innings, giving up just two hits and one walk while striking out three. Overall, his impressive cumulative stats show a 0.57 ERA and a stingy nine baserunners allowed (seven hits, two walks) in 15 2/3 innings with 14 strikeouts. “Fall-Star” Sanchez had another strong outing this week. He continues to be very difficult to hit but has struggled with his control. Going forward, it’s looking more and more like Sanchez (who has the second-highest average velocity for a starter in the AFL) is going to be his own worst enemy throughout his career. If he can harness his outstanding stuff, he can be absolutely dominant. If he can’t throw enough strikes, he’ll get in trouble with the walk. A case in point was his October 28 start in which he went four and a third shutout innings giving up no runs on one hit and three walks with four strikeouts. Overall, Sanchez has a 1.35 ERA and only five hits given up in 13 1/3 innings but he’s walked eight and struck out 10. 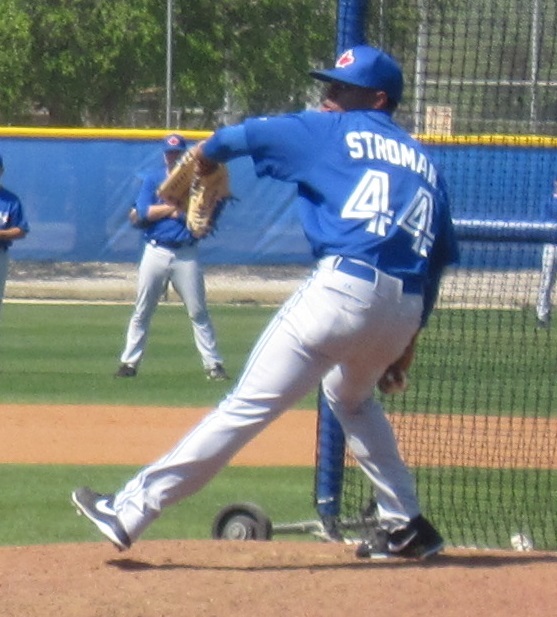 Marcus Stroman (also a “Fall-Star”, and look! 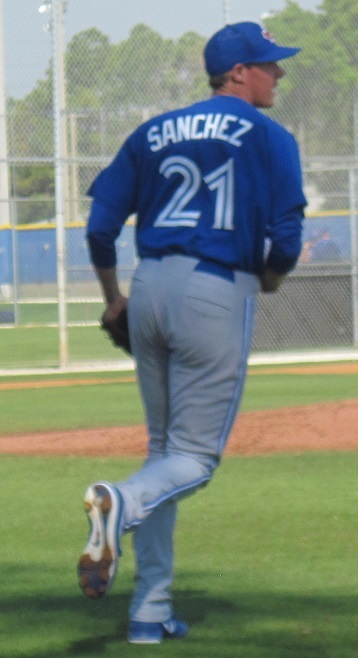 I found a photo of Stroman from Spring Training!) isn’t making as much noise as either Sanchez or Hutchison, mainly due to lack of work. Stroman only pitched two innings this week. He gave up one hit (no runs) and didn’t walk or strike out anyone. He’s got a 4.70 ERA in 7 2/3 innings with six hits, three walks and six strikeouts. The not so fantastic numbers come from one bad outing in which he gave up three runs (and walked three). Take that away and you can see that Stroman is pitching very well this fall. Catcher Derrick Chung continues to surprise a lot of people (although not us at Blue Jays from Away). Chung got into only two games this week (he seems to be catching the Hutchison and Sanchez whenever they pitch) but went four for seven with a double and one strikeouts. Overall, Chung is hitting .429/.500/.500 with two doubles in 28 at bats. Andy Burns has been hitting quite well this week, hitting in all four games he got into (and having an active six-game hitting streak). He went seven for 13 this week with three doubles and stole two bases (but he was caught once). Overall, after a slow start, Burns has brought his line up to a very good .333/.414/.417 with an impressive eight walks to seven strikeouts with four doubles and 11 RBI in 48 at bats. Finally, Kenny Wilson only got into three games this week and has been slumping. He went oh for eight in his first two games but broke out last night for a three for five performance. In 64 at bats this season with Salt River, Wilson is hitting .281/.352/.359 with nine stolen bases but has been caught stealing five times.